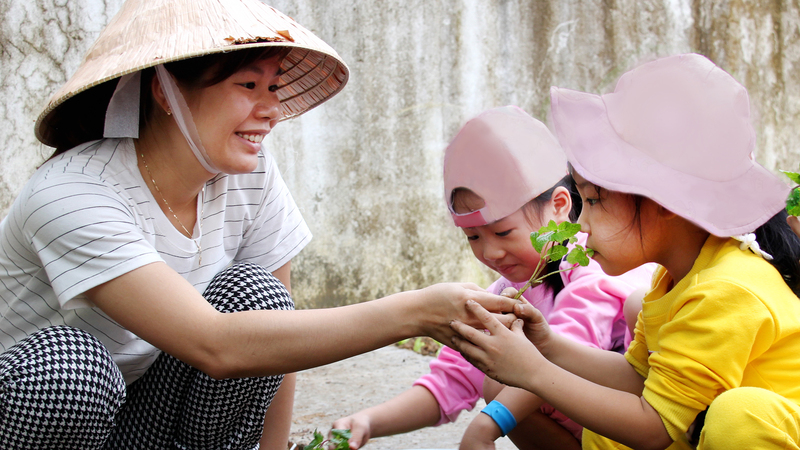 When Thoa was 20 years old she moved to Da Nang, which is far away from her hometown in Nghe An Province. In Nghe An the main industry is farming, but there is always a risk of damage to the crops during the four-month rainy season. 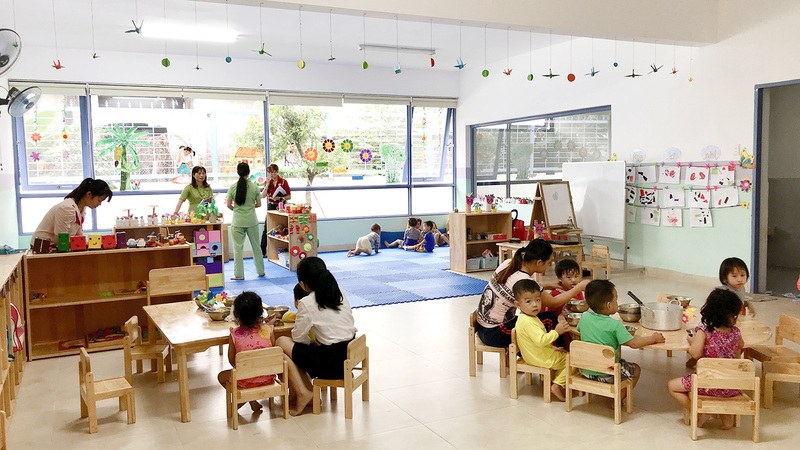 At first Thoa’s transition to the big city went smoothly when she found work at a toy factory in Hoa Khanh Industrial Zone, one of the six largest industrial parks in Da Nang. Then Thoa met her future husband, Hai. Though Hai was unemployed, and they had been dating only a few months, the couple decided to get married so Thoa’s 75-year-old mother, who was very ill, could attend the wedding. However, Hai’s parents said the couple could only marry if Thoa ensured a grandson by getting pregnant. Soon after Hai’s family gave that ultimatum, Thoa became pregnant. Although both families are poor and Thoa’s income from the factory is low, she saved carefully so she and Hai could travel back to her hometown for an engagement ceremony and to welcome her baby son. Though she was excited to be having a baby, Thoa by then had realized that Hai is an alcoholic, but she was hoping that after their baby was born, he would stop drinking and finally find a job. It was at the moment, lying in a hospital bed, that Thoa decided she would raise her son by herself, without any help from Hai because she didn’t want her baby to grow up and become like his father. 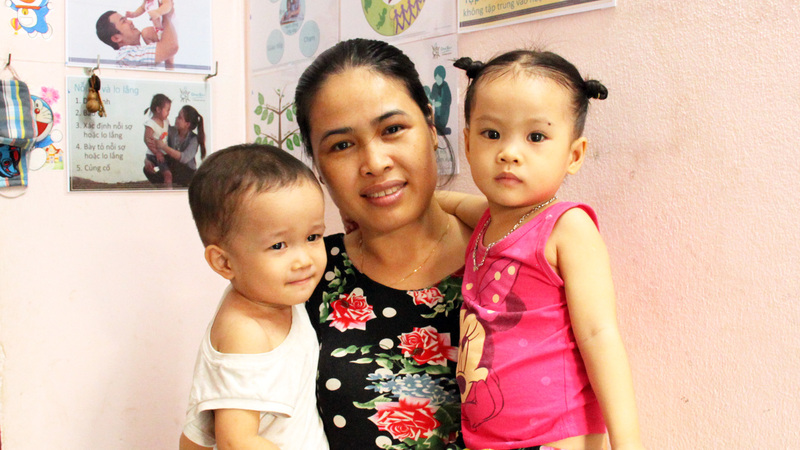 When Thien Bao was born on Christmas day, Thoa looked at her newborn baby and vowed she would do everything she could to provide the very best for her child. Still Thoa’s vow hasn’t proved easy to fulfil without help. Hai has never attempted to contact her or meet his son. Neither have his parents and, sadly, Thoa’s mother died before she could meet her grandson. That left Thoa to take care of her newborn and her 85-year-old father, Nam, whose health is failing. 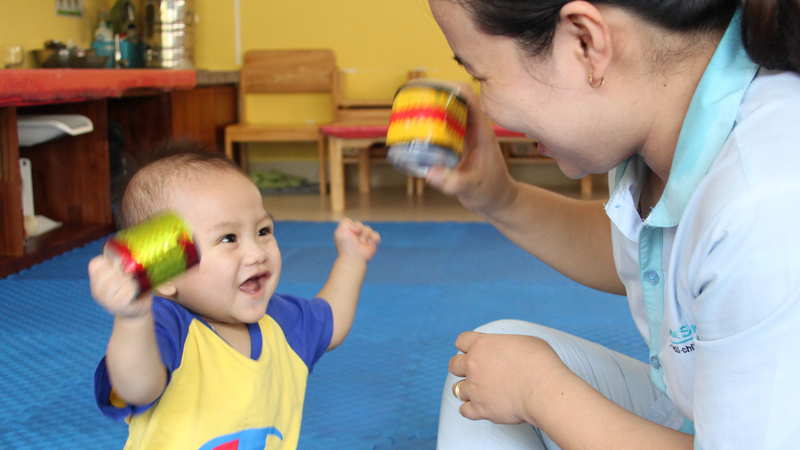 When Bao was five months old Thoa had no choice but to put him into a home-based care center so she could go back to work to support the family. Then Nam fell and became bed-bound after his accident. The entire provision for the family of three fell on Thoa’s shoulders, on her meagre factory salary of $135 per month. 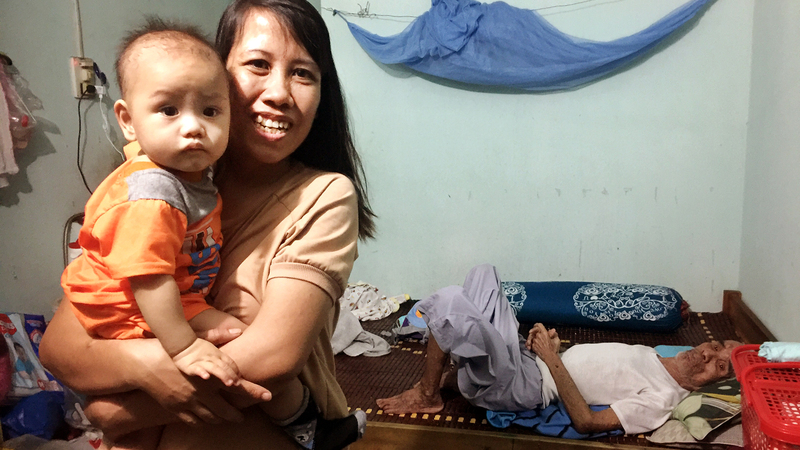 Because she spent over half of her monthly salary on Bao’s day care, Thoa could only afford to rent a tiny 15-meter square room… just enough space to fit one bed for the whole family to share. The family’s cramped quarters mean that the bed is where Bao plays, sleeps, and eats. 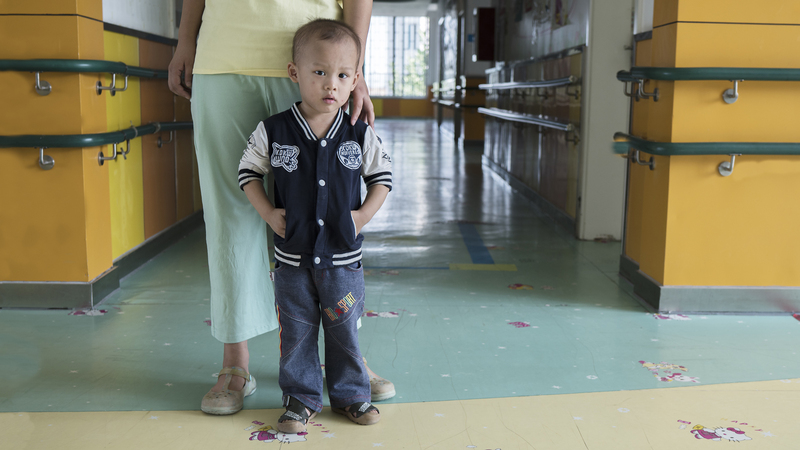 At his home-based day care, Bao was also left in a crib most of the time because there was only one caregiver to look after eight children, all under three years old. 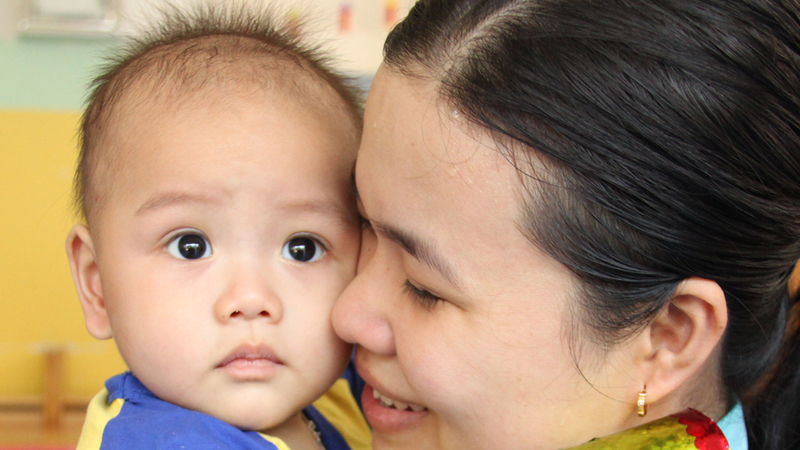 Given the lack of stimulation, Thoa became very worried about her baby’s well-being. One day, when sharing her concerns with work colleagues at the factory, they recommended the OneSky Early Learning Center (ELC) where other working parents said their children were thriving in a safe, loving, and nurturing environment at an affordable price. “That seems too good to be true,” was Thoa’s first reaction. 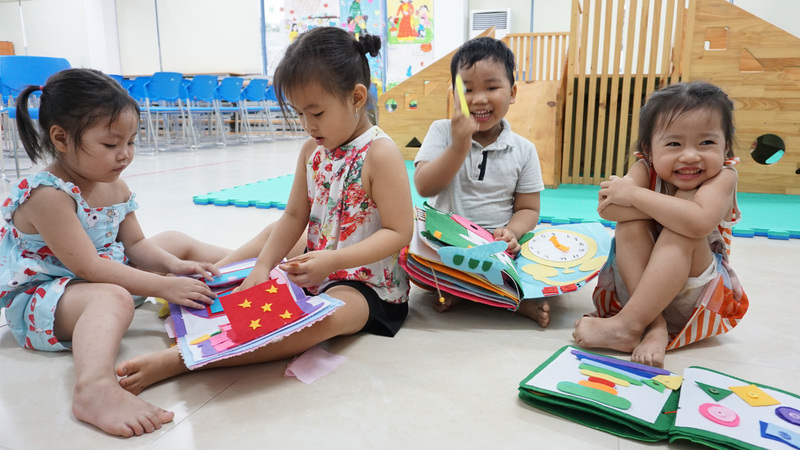 The fees at the ELC are less than half of what Thoa was paying at the home-based day care and due to Thoa’s precarious financial situation they have been reduced further, which means she only has to pay $9 a month. Thoa now has more money left to buy food for her baby and medicines for her father.